Thank you to our 2018 Exhibitors! As fall begins, it is my hope that all of our membership was able to get some well earned time away from their practices to spend with friends or family. A chance to reflect on why it is that we all worked so hard to get where we are, and yet feel rejuvenated to do the work that is now left to do. 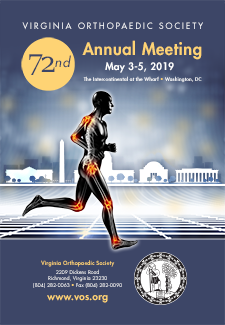 Since our last newsletter, the advocacy efforts of our Virginia Orthopaedic Society have been going strong. In June, several VOS members joined the AAOS team during the National Orthopaedic Leadership Conference (NOLC) in Washington, DC for Advocacy Day to meet with congressmen, senators, and staffers. This year’s agenda included three main topics, which were all well received. First was raising awareness and gathering support for the Good Samaritan Health Professionals Act to expand protections for physicians who volunteer during disasters. Next was an overall push for regulatory reform and easing the burden on our everyday practices. While no single bill encompassed this entire effort, a key request during this year’s NOLC was to gather support for Stark Law reform which would modernize it in a way to raise the obstacles that the original law creates in design and implementation of novel care and payment models. The third agenda item during this year’s NOLC was opioid legislation. 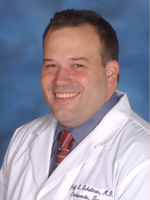 Specifically, members of the VOS, and AAOS at large, were intent on preserving the perspective of orthopaedic surgeons throughout the robust public discussion of this pressing healthcare crisis. Unfortunately, some of the national proposals came to the table purely from the addiction/overdose side of the discussion and would surely have unintended consequences for our patients. It was on this agenda item that our VOS delegation was able to contribute most uniquely. Specifically, we were able to share with some Congressional offices the efforts already underway on opioid control here in the Commonwealth, including resources developed as part of the pilot project by former VOS President TK Miller at Carilion in Roanoke. As we look to the fall, I would remind everyone that all politics is truly local. While there was a large package of opioid bills that eventually passed through Congress, implementation of them and many like them will ultimately occur at the state level. Yes, this is my presidential push for our Virginia Orthopaedic Society. It was great to see how our Society fits into the big picture in June in Washington, but here at home, we are the big picture. Whether through our actions or through our financial support, we have a voice in Richmond as long as we pursue it. We will continue to have updates from Richmond throughout the year from our highly respected lobbyist, Cal Whitehead. 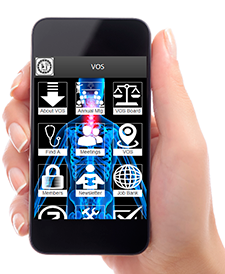 This society is the voice of your practice and I invite you to contact us if there are any issues that are affecting your practice or the care of your orthopaedic patients. During my tenure with the Board, several important grassroots issues started this way. 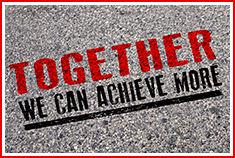 Of course, maintaining our ability to be there for you is dependent on maintaining a strong society with an equally strong Political Action Committee. Please, make sure your membership is up to date with the society. And please support our Virginia Political Action Committee (ORTHO PAC). Links for both are on the VOS website. Finally, please encourage all of your partners and colleagues to do the same. One word about political battles from the past. All of our practices are in some way affected by the Virginia Workers' Compensation Fee Schedule. Fortunately, that schedule continues to be monitored and will evolve in the future. Prior to the fee schedule, Virginia had one of the most cost efficient systems in the country and it is essential that all of our practices maintain awareness of ongoing changes that have the potential to affect us. The schedule as written was somewhat sensitive to the challenges in caring for workers' comp patients. From time to time, there will be surveys to medical practices from the Workers' Comp Commission. Please ensure that your practices have someone on the lookout for these and fill them out when the opportunity arises so our voices can be heard. Moving forward, plans are falling into place for next year’s Annual Meeting in Washington, DC. Please mark your calendars for the weekend of May 3-5, 2019 and plan to join us at the Intercontinental Hotel at the Wharf. The completely revitalized area of the city is beautiful and a short walk to the Smithsonian and many of the monuments. Our program co-chairs, Ryan Miyamoto, MD and Seth Yarboro, MD are lining up a dynamic program with an engaging slate of speakers that will emphasize trauma, sports medicine, and shoulder reconstruction. 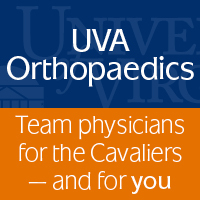 Thank you for all you do for the orthopaedic patients in the Commonwealth of Virginia. If there is anything we can do here at the Society to support you, do not hesitate to contact us. And in closing, please support us with your ongoing membership.